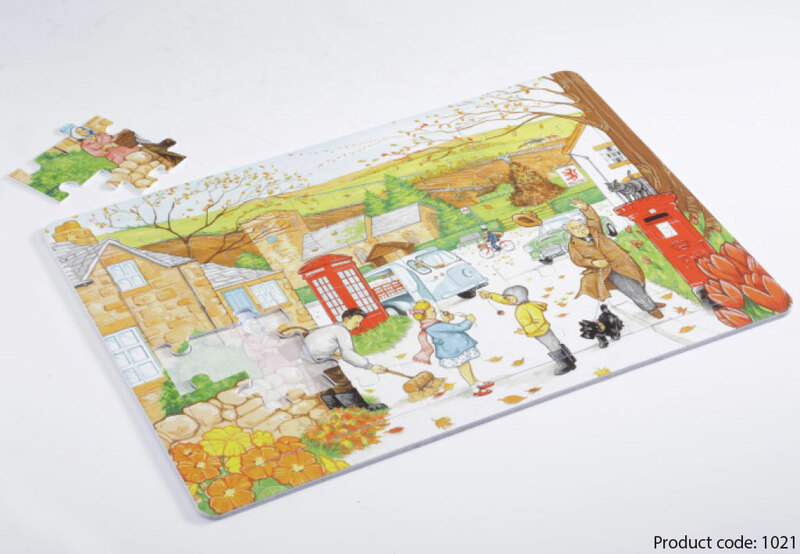 The book is 24 page A4 and the memory card pack is 16 A5 double sided laminated cards with accompanying carers / relatives information sheet. 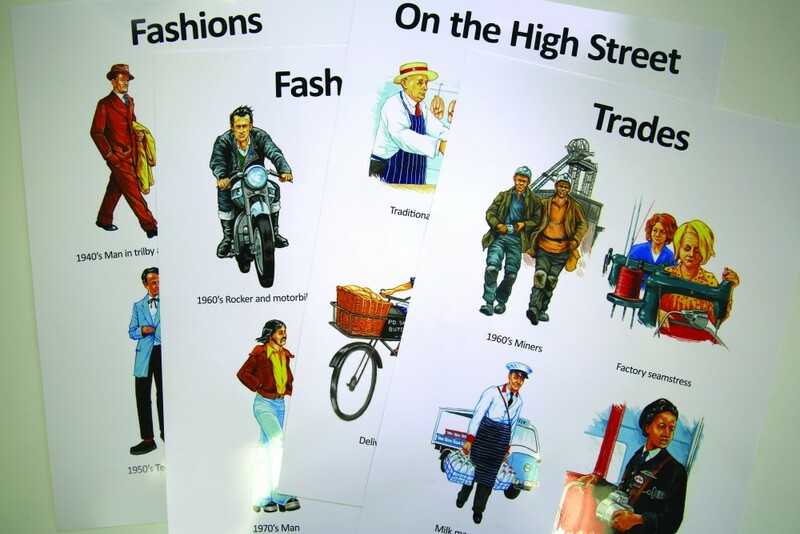 Covering life in Britain from the 1940’s to the 1960’s, we have chosen imagery that reflects life from this period in a memorable and positive way. Inside the book, we have also included black and white pages intended for colouring, bringing to life people past and memories shared. and sporting personalities from the 1940’s to the 1970’s. 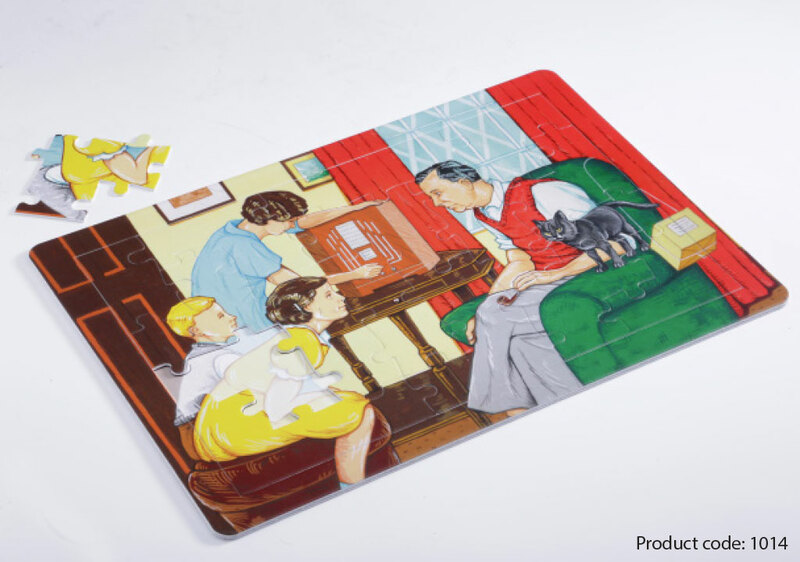 The third in our series of reminiscence packs. 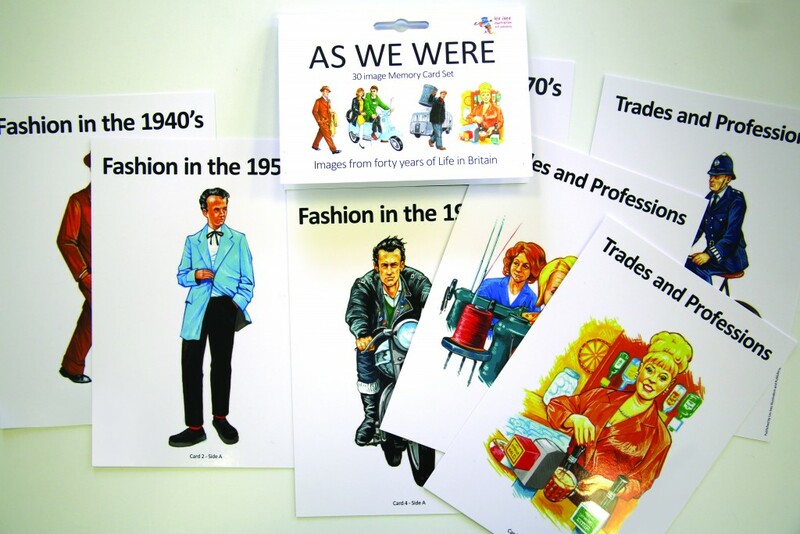 As We Were is a book and memory card set containing imagery of the fashions, jobs and professions from the 1940s to the 1970s. 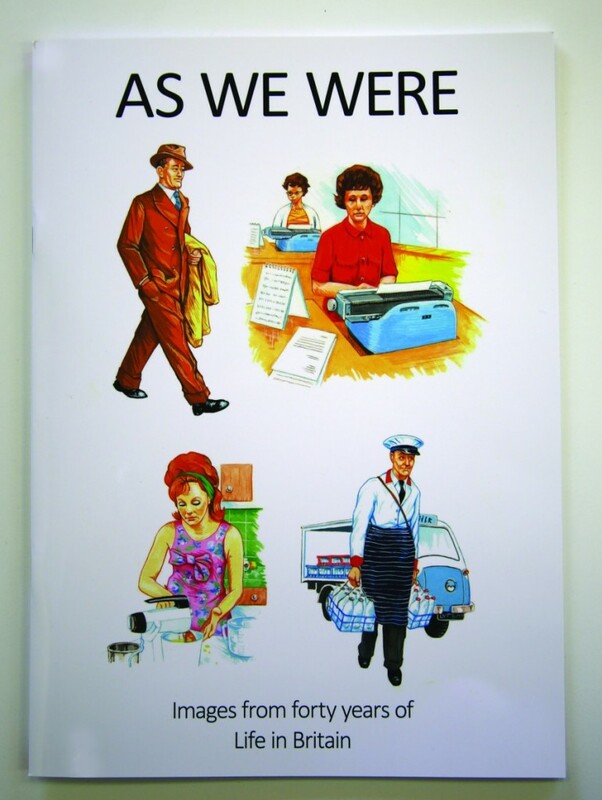 The As We Were poster set features colourful images of past fashions, high street trades people and workers from a variety of jobs and industries. 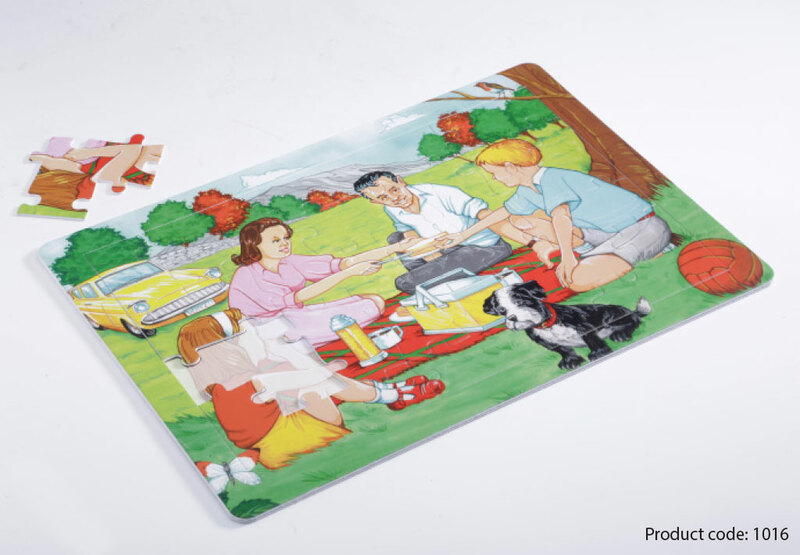 X16 A5 fully laminated card set with carers /relatives information sheet. X4 A3 full colour laminated poster set. 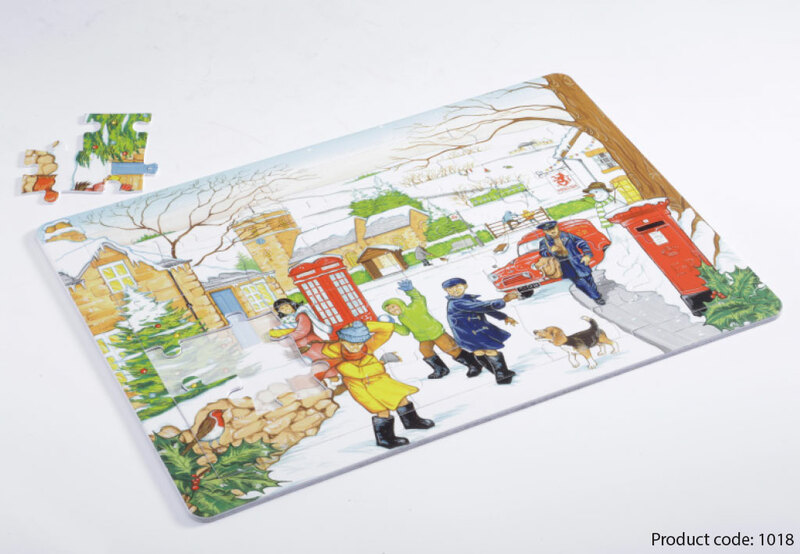 ‘Four Seasons’ jigsaw range. 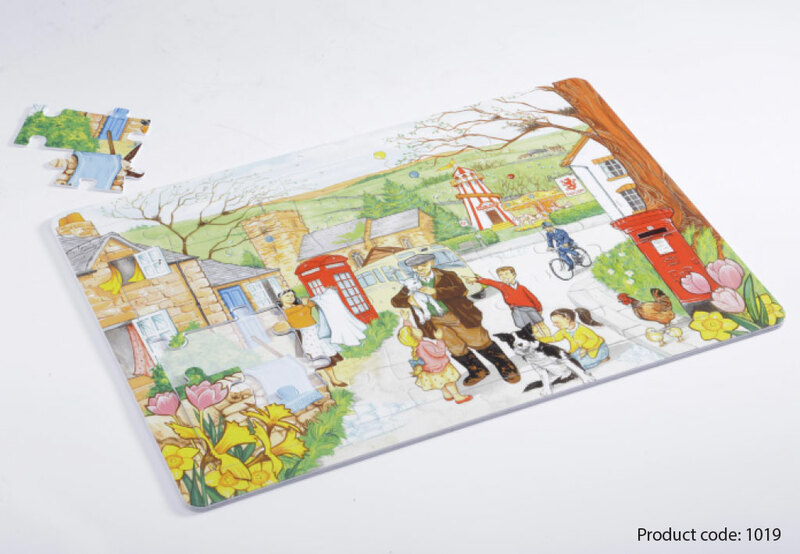 Our four piece jigsaw set follows the changing of the seasons through a 1960s village. From deepest snowy winter, spring sunshine and showers, summers day ice cream and cricket and completing with autumn leaves and children playing conkers. 4 x colourful age appropriate designs. New for 2016. 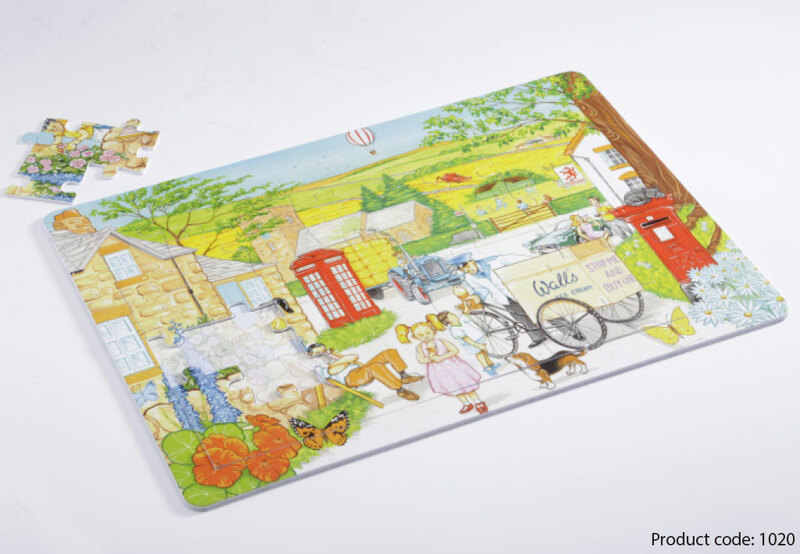 16 piece A3 size jigsaws. 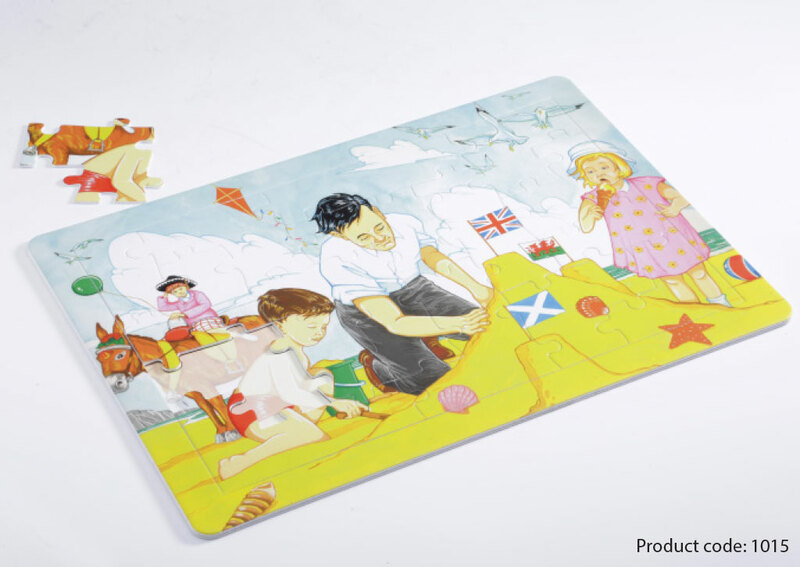 Printed on thick laminated board, this 16 piece jigsaw is positioned within a border and includes picture image and jigsaw piece key lines, printed on base for help and guidance. 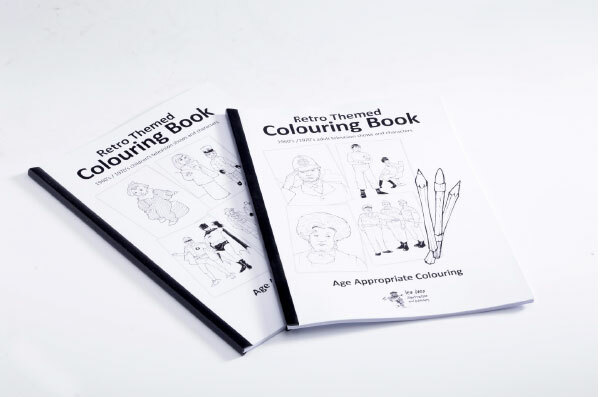 Features x4 colourful age appropriate designs. 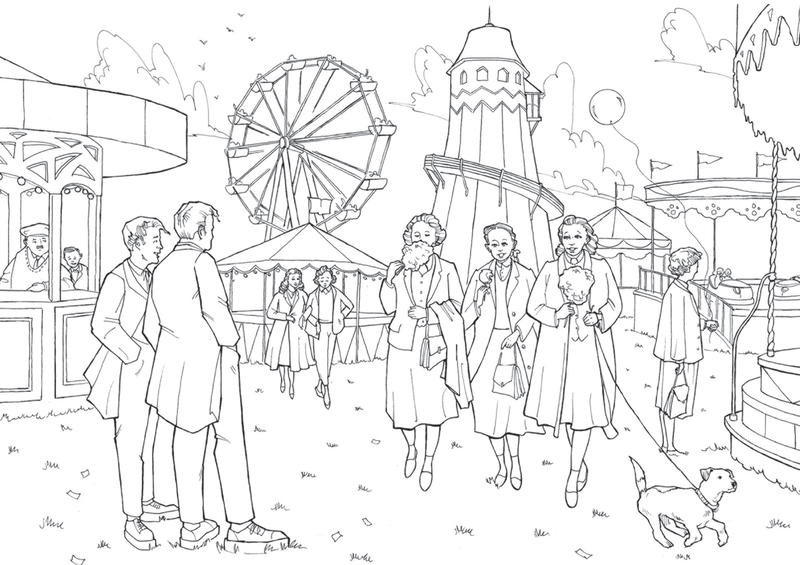 On large A3 format paper, our retro colouring set includes a World War II family, 1950’s fairground and 1960’s seaside and picnic scenes. 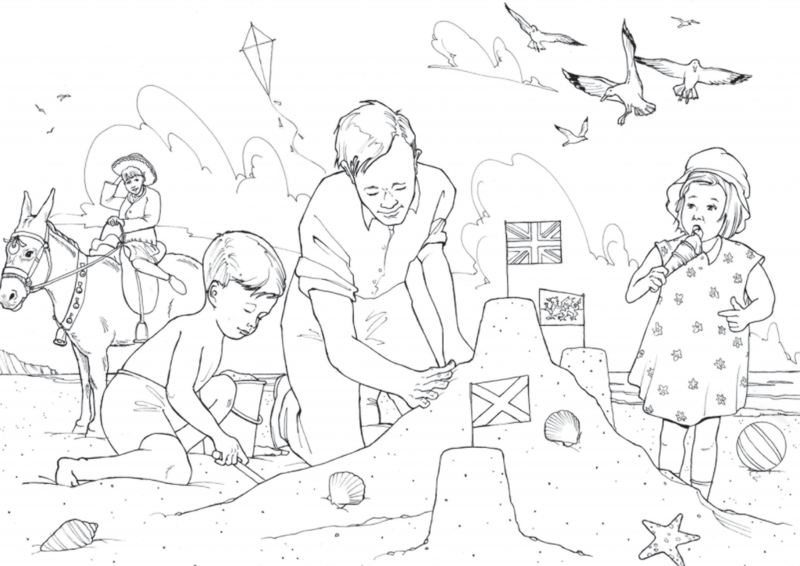 Incorporating memorable imagery from these eras and giving opportunity to add colour to events and happy memories from the past. 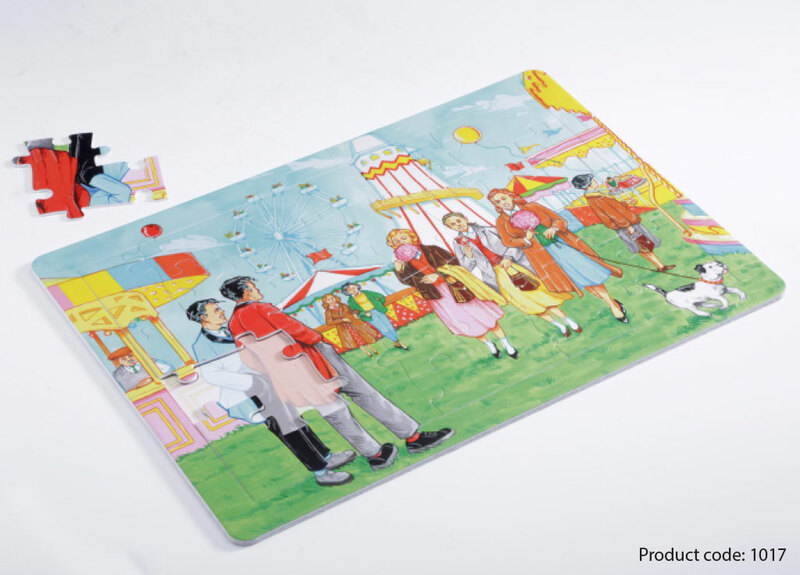 Price: £8.99 X3 of x4 kinds of picture set. Total 12 sheets – Packed in A3 polythene bag. Retro themed general colouring book. 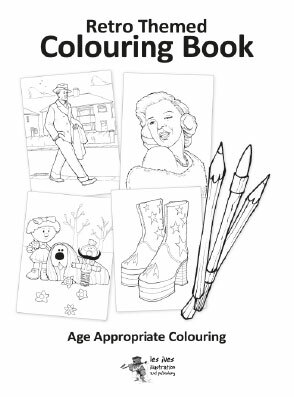 A4 16 page colouring book. 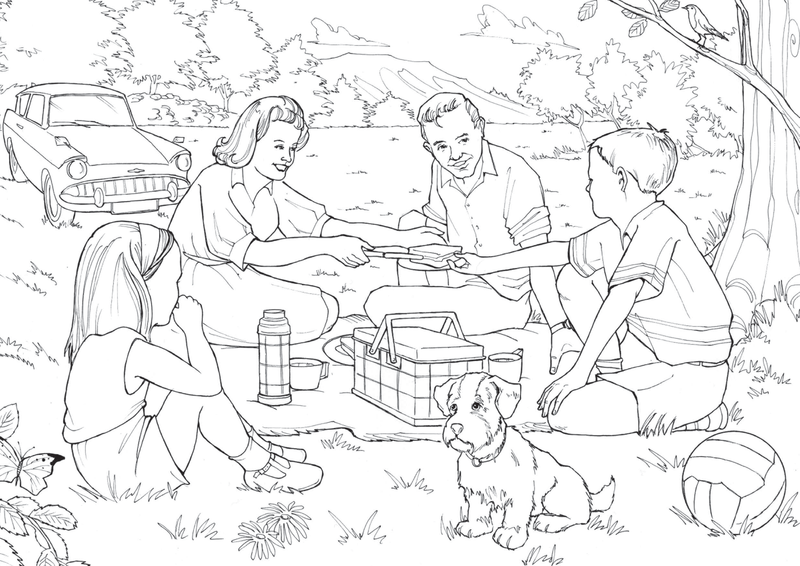 New-Retro Themed Children’s TV characters colouring book. Children’s television characters and programmes from the 1960s/1970s. 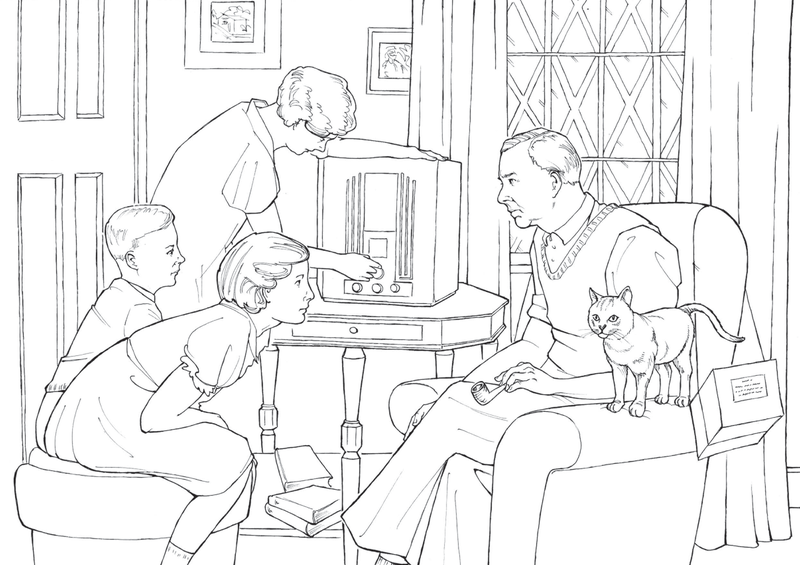 New-Retro Themed Adult TV characters colouring book. Wall sticker created for Sycamore Hall, Ripon (New Century Care Homes) Quotations available upon specification. Please contact Les ives from the contact above.These products are also available from the The Alzheimer’s Society online shop , www.activitiestoshare.co.uk, Amazon, ROMPA, Alzheimer’s and Dementia Products Limited, Spectrum Consortium, Care England, Gompels Health care Ltd, Visual Communication Aid, Deliver Net Limited. All products are VAT exempt and products can be purchased individually. © 2015 Les Ives Illustration. All rights reserved.